Two left thumbs? It’s ok. Freeform Stands are easy to install. Built in alignment tabs and strong rare-earth magnets snap into place. One allen wrench, four screws, and about a minute is all it takes to install or remove your iPad 2, 3, or 4 and Square card reader. These cases do not grow on trees. 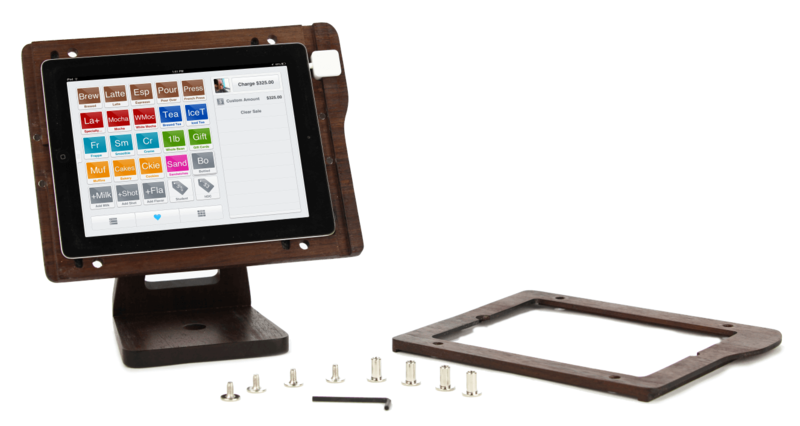 Freeform iPad stands use carbon fiber ribs and ultra-strong neodymium magnets to make sure they remain strong through the ups and downs of business.